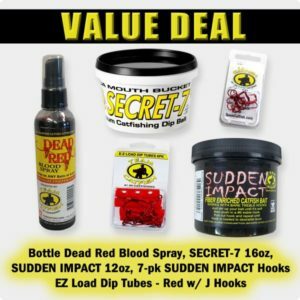 This value pack saves you some money! 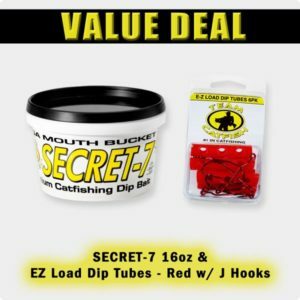 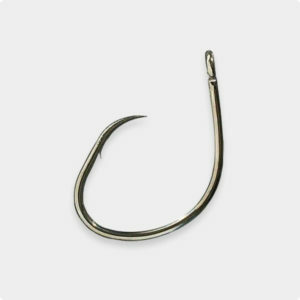 Included are two Secret 7 pints and pack of Red Dip Tubes (J Hooks). 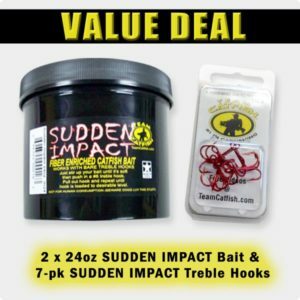 This value deal contains 2 of the 24oz Sudden Impact Fiber Baits, and one 7-pack of Sudden impact trebel hooks. 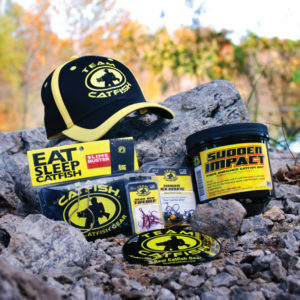 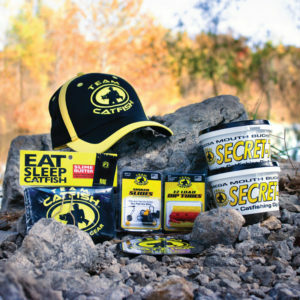 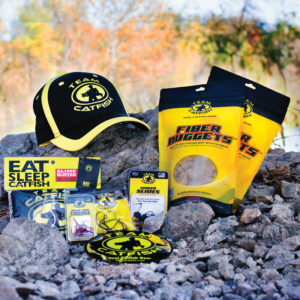 New Team Catfish Kits Available! 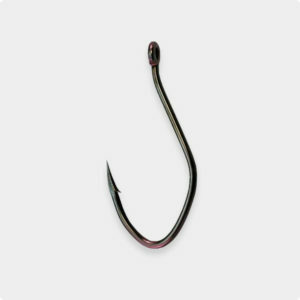 LIVE CATFISHING! 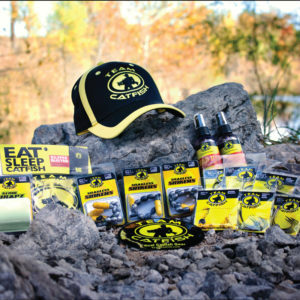 Watch The Rods And Get Some Catfishing Tips! 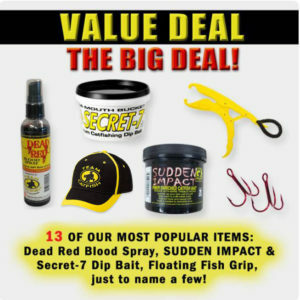 Bank Fishing With Dead Red Spray For Channel Cats!